The Bible says, “Rejoice, again I say rejoice!” So why are Christians perceived as joyless and judgmental? How can a fresh look at the Bible dispel centuries of misconceptions and provide evidence that God not only wants us to experience contentment, delight, and peace—he commands it! Bible Gateway interviewed Randy Alcorn (@randyalcorn) about his book, Happiness (Tyndale House, 2015), at 450 pages, the most definitive study on the subject of happiness to date. Your book Happiness challenges the idea that God wants his followers to be holy but not happy. What do you mean? Randy Alcorn: Holiness doesn’t mean abstaining from pleasure; holiness means recognizing Jesus as the source of life’s greatest pleasure. Spurgeon put it this way: “Holiness is the royal road to happiness. The death of sin is the life of joy.” For those of us who are Christ-centered believers, our lives should overflow with both holiness and happiness. Sadly, too often our message to the world becomes a false gospel that lays upon people an impossible burden, as in “to be a Christian, you must give up wanting to be happy and instead choose to be holy.” In fact, happiness and holiness are inseparable. “Give up happiness; choose holiness instead” is not good news, and therefore it is not the “good news of happiness” spoken of in Scripture (Isaiah 52:7)! Does it matter whether we believe that God is happy? Randy Alcorn: It matters immensely. If God isn’t happy, he can’t be our source of happiness. An unhappy God would never value nor assure the everlasting happiness of his creatures. We would never ask for grace from an ungracious God, kindness from an unkind God, or happiness from an unhappy God. It would be like asking a poor man for a million dollars. He can’t give what he doesn’t have. If God were not happy, the fact that all people seek to be happy—as Augustine, Aquinas, Pascal, the Puritans, Wesley, Spurgeon, and many others have observed—would be a cruel tragedy, since it would mean that God cannot give us what we most deeply desire. At best he might deliver us from the miseries of Hell. But Heaven can overflow with happiness only if God himself overflows with happiness. Our Creator’s happiness guarantees a happy ending to the story that will never end. The Bible frequently depicts God as being delighted and pleased, and twice God is described as makarios(1 Tim. 1:11; 6:15). Does the Bible distinguish between happiness, blessedness, joy, and gladness? Randy Alcorn: We imagine sharp distinctions between Hebrew and Greek synonyms and also the chosen English words, such as joyful, glad, or happy. Only when we recognize how meanings overlap in words from the same semantic domain, or word family, will we be saved from making artificial distinctions between the corresponding English words. In fact, these words are far more alike than different. Is happiness much different from joy? The relationship between joy and happiness in these passages refutes two common claims: (1) that the Bible doesn’t talk about happiness, and (2) that joy and happiness have contrasting meanings. In fact, the Bible overflows with accounts of God’s people being happy in him. How should the Beatitudes be viewed in light of happiness? Randy Alcorn: In the Beatitudes (see Matthew 5:2-12 and Luke 6:20-23), the word makarios occurs repeatedly. It’s significant that Jesus didn’t say, “Happy in God are the following…” and then give a grocery list including “the poor in spirit,” “mourners,” and “the meek.” Instead, he repeated makarios with each statement, revealing this word as his central emphasis. The word “happy” isn’t just the literal meaning of asher and makarios—it’s also a commonly used word that most people understand. First-century readers of the Gospels of Matthew and Luke also knew the meaning of makarios. So in the Beatitudes, the down-trodden, weary, and sorrow-laden listeners heard Jesus say, nine times in a row, “Happy are you…” These statements must have stunned them. In what way are churches failing to offer the happiness the world longs for? Randy Alcorn: The gospel of Messiah’s redemptive work is called “good news of happiness” (Isaiah 52:7 ESV), synonymous with what Luke calls “good news of great joy for all the people” (Luke 2:10). What do you want readers of Happiness to do once they finish it? 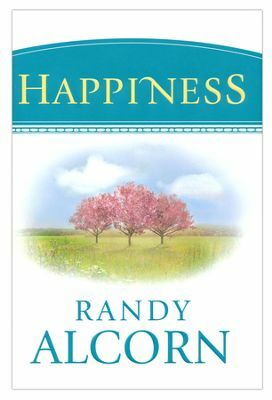 Randy Alcorn: First, my hope is that readers will meditate on and embrace the Scriptural teaching about God’s happiness. “In your presence there is fullness of joy; at your right hand are pleasures forevermore” (Psalm 16:11). Much of the battle for joy hinges on whether we believe God is happy and wants us to be too. What are your thoughts about how using Bible Gateway and/or the Bible Gateway App can contribute to a person’s happiness? 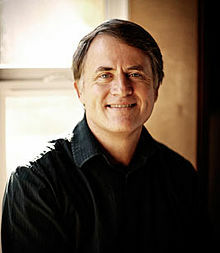 Randy Alcorn: I use Bible Gateway or its app virtually every day; usually multiple times a day. I went to it frequently to compare translations of nearly every verse I cite in Happiness, the book, and God’s Promise of Happiness, the booklet. Next, use your keyboard function (for example, for PC users depress the “Ctrl” and “F” keys simultaneously) to search for the word “happy” on that same page and you’ll immediately see it highlighted in 14 translations that use “happy” instead of “blessed.” In 1611, when the King James Version used it in the Psalms and beatitudes, “blessed” meant to be happy in God. Today, though, it sounds more like a holiness word than a happiness word. People are unhappy because they listen to the thousands of unhappy voices clamoring for attention. Joy comes from listening to and believing words of joy from the source of joy. Jesus said, “My sheep hear my voice, and I know them, and they follow me” (John 10:27). When we follow him, we’re happy. When we don’t, we’re not. There’s no place we can go to hear God speak authoritatively, to hear his voice with complete confidence, other than the Bible itself. “The law of the Lord is perfect, restoring the soul…. The precepts of the Lord are right, rejoicing the heart” (Psalm 19:7-8 NASB). As we listen to, meditate on, and respond to God’s Word, our souls are restored from sin and unhappiness to righteousness and happiness. 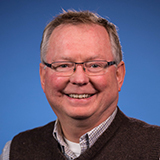 Bio: Before starting Eternal Perspective Ministries (@epmorg) in 1990, Randy served as a pastor for 14 years. He has a Bachelor of Theology and Master of Arts in Biblical Studies from Multnomah University and an Honorary Doctorate from Western Seminary in Portland, Oregon. He’s taught on the adjunct faculties of both. A New York Times bestselling author, Randy has written more than 40 books, including Courageous, Heaven, The Treasure Principle, and the Christian Book Award winner Safely Home. His books have been translated into over 60 languages and have sold over 8 million copies. Randy has written for many magazines including EPM’s issues-oriented magazine Eternal Perspectives. He’s active daily on Facebook and Twitter, and has been a guest on more than 700 radio, television, and online programs, including Focus on the Family, FamilyLife Today, Revive Our Hearts, The Bible Answer Man, and The Resurgence. Randy resides in Gresham, Oregon, with his wife, Nanci. They have two married daughters and are the proud grandparents of five grandsons. Randy enjoys hanging out with his family, biking, tennis, research, and reading.